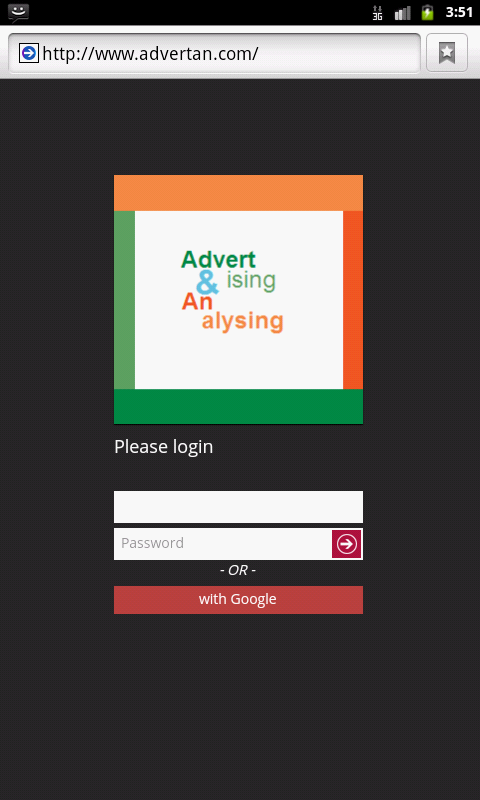 Advertan.com: Online service which integrated with and complementary to the major advertising and analytics platforms. We use machine learning algorithms to get more sense from data. 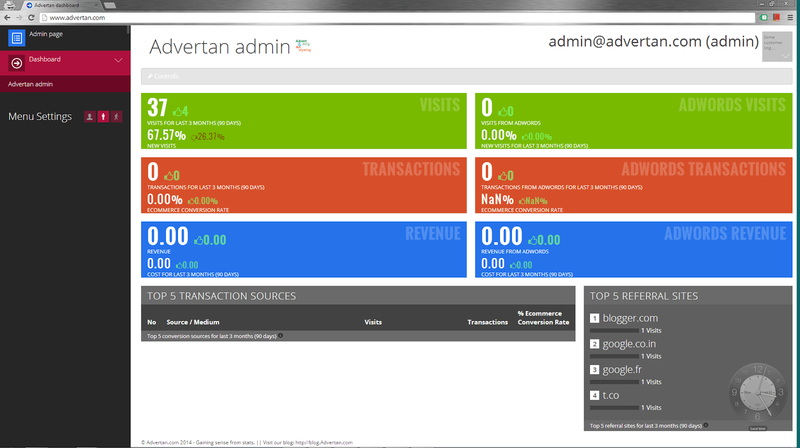 New version of Advertan Dashboard was deployed! 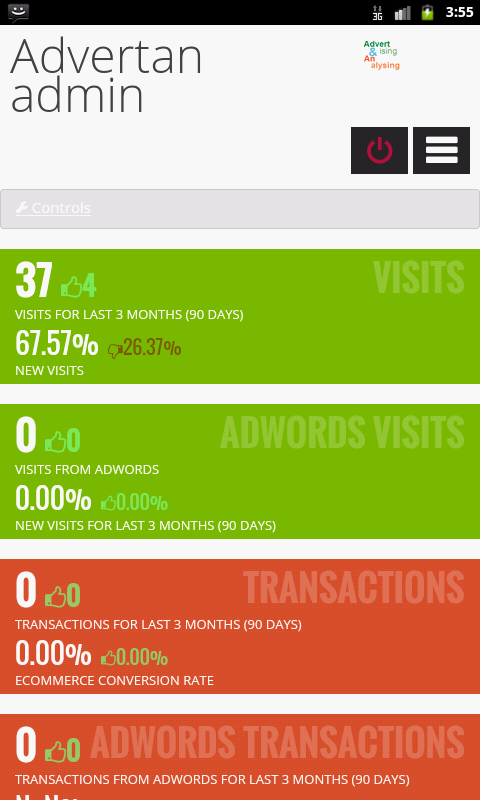 Advertan Dashboard allows you to see brief statistics from any of your Google Analytics account / property / view (profile) in comfortable and easy way. Optimized to be used on mobile devices (Android, Apple iOS) as well as on desktop computers. Periodical auto refresh or manual refresh as options. Several preset periods with ability to compare values with the same previous period. Developed by using Google Cloud Platform (GAE Java, GWT, Google APIs). Please try and leave feedback. Further versions will be developed, improved, or fixed according to your feedbacks! If you followed instruction from the previous articles Google Apps: how to create and map it to your own domain you already should have Free Google Apps account linked to your own domain name. Your site can consist just from one page or can include several ones, or even can consist of several parts, with several pages in each part. Google Sites service allows you to have not only static pages with text and images but also it allows you to add some interactive components to your pages or some elements integrated with other Google products. And all these require no special knowledge or experience from you. Of course these components have some restrictions but should meet the needs of the most of you. We can say that implement your own site will not be difficultly than compose Word document or PowerPoint presentation. Your site also not necessarily should be public - you have several options to restrict access to your site according to your requirements. Let’s start! Please follow our instructions. First of all let’s recall our aims: If you want to begin your own startup, or just bring online your already existing offline business, in any case, you have to create your own online infrastructure, and we will do it by using set of Google tools. So, if you want to create your own site on your own domain, or want to create your own blog on your own domain, or even want to create your own web application (such as Twitter, or Pinterest, or any other less known), or just want to have your own email address with your own domain name (for example: some_name@some-company-name.com, or anything like this), you can have any combination of these four elements or all of them. But to implement this, first you have to create Google Apps account and then map it to your own domain name. Of course if you already have registered domain name you can map Google Apps to it, otherwise you also have to register it. Domain name registration is the only step which might require some money spent from you – something around $10. Although, starting on December 6, 2012, Google will no longer offer new accounts for the free edition of Google Apps. But if you follow my instructions from previous article you still can get account for such free Google Apps edition. This free Google Apps account is limited by just one user – not much, but it is quite enough for our purpose. Of course, you can as well use a paid version of Google Apps for several users, so called Google Apps for Business. It is a very good solution in case your company already has several employees, and you want to get a convenient and reliable IT solution for your company. The process described below will be applicable in any case. mail.some-company-name.com – entry point to your Gmail mailbox. – Also you will use the Google Apps Sites (one of the service included in Google Apps suite) in order to create and develop your public site. – After mapping you Google Apps to your domain you will get branded email addresses in your domain, similar to this: some_name@ some-company-name.com. Please follow next instructions in order achieve these goals.